With TJ Norton. TNT are blues dynamite! Having lived under the threat of closure for the last few years, the Great British Rhythm & Blues Festival, Britain’s largest and longest running event of its kind, is back with a bang under the new management of a Colne Town Council team, on Saturday 28th Jan at noon unveiling an extraordinary line-up of contemporary musicians at the very top of their game for this August Bank Holiday. 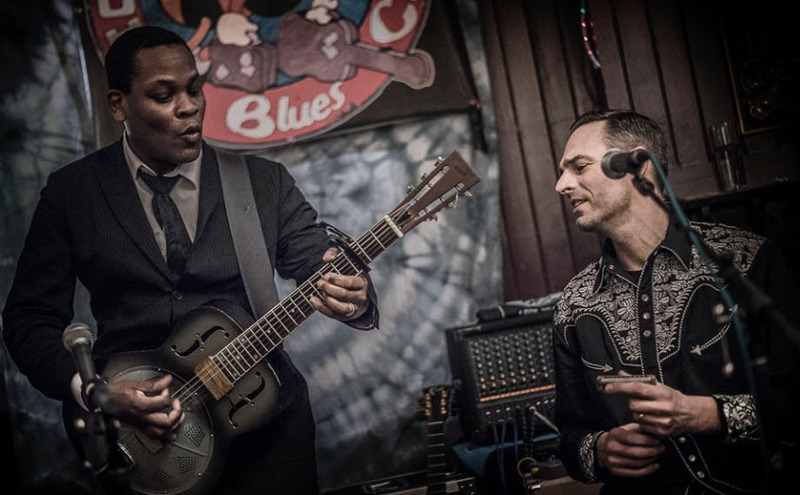 A firm favourite at Colne for many years, Tom Attah, will be presenting his hand picked selection of acoustic Blues acts, playing during Saturday 26th August and Sunday 27th daytimes. During the day, the action will be centered around the Muni, the Hippodrome and Tom Attah’s Acoustic Blues Showcase at the Little Theatre, where a range of highly talented professional acts will rub shoulders with the cream of emerging young talent. Acts will include: Mat Walklate & Paolo Fuschi, Lucy Zirins & Company, TJ Norton, Julian Burdock & Danny del Toro, The Delta Ladies, Dale Storr, Jess Gardham, Jack Blackman, The Hailbails and Dave Arcari.